Pool preparation is critical so contact Coating Technologies Ltd (09 837 0897) for advice before painting your pool. Please note that we do not hold stock of this item. Please allow 2-3 days processing plus shipping. Due to seasonal holidays, we may not be able to process your order until 7th of January. 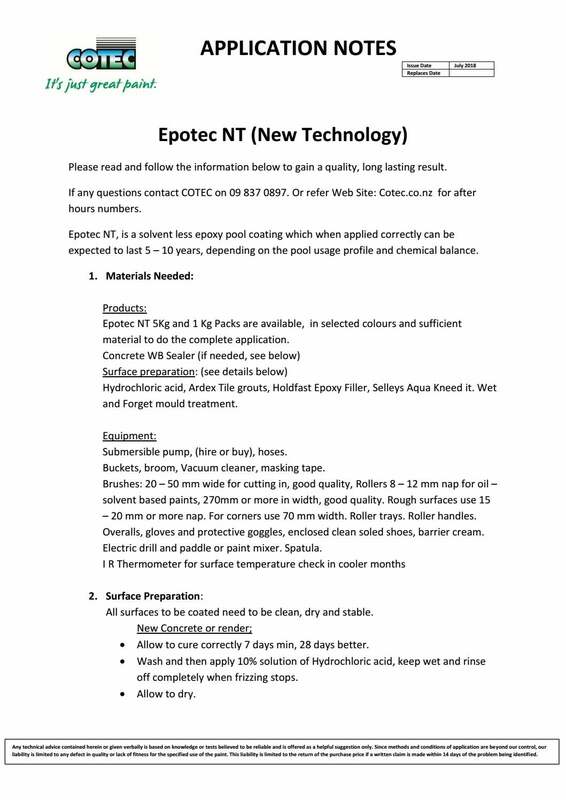 Epotec NT (New Technology) replaces Epotec HB, it has faster curing, greater resistance to weather events, low odour, 100% solids and can be used to fill voids too. 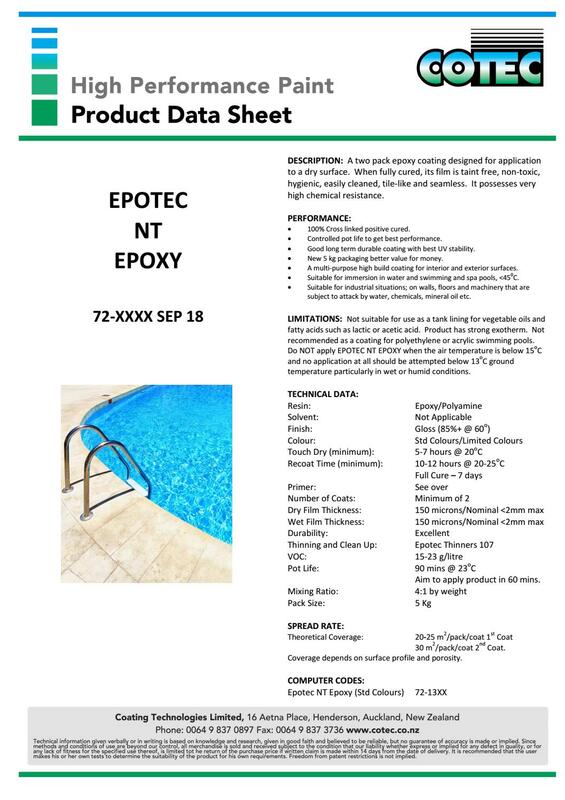 Epotec NT is a multi-purpose high build Two Part Solvent Based Epoxy / Polyamine Gloss coating for most swimming pool surfaces. Suitable for immersion in water and particularly suitable for most kinds of swimming and spa pools. May be used in industrial situations on walls, floors and machinery that are subject to attack by water, chemicals, mineral oils etc. Available in the full range of pool colours. This will vary depending on the surface texture and type, i.e. porous plaster will take considerably more material than smooth fibreglass. *Coverage depends on surface profile and porosity. We recommend two coats to get the desired colour finish.